This winter, in the freezing cold and rain, refugees are sleeping rough around France with only a sleeping bag or blanket for shelter. Imagine being so afraid of being spotted by the police that you prefer to sleep outside on the ground rather than putting up a tent. A tent is more conspicuous, and on the streets of Paris or fields around Calais the police simply clear them away as soon as they are spotted. With temperatures getting down to minus six degrees overnight, a blanket is just not enough. We’ve found ex-army sleeping bags with a gortex outer that are warm, waterproof and breathable. They are the only way we are able to help keep people alive in terrible conditions that they should never be in in the first place. 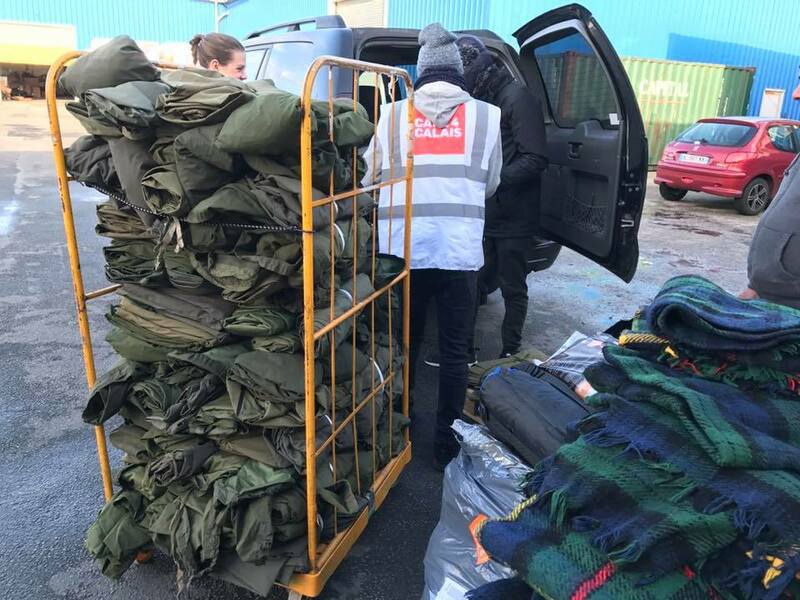 Huge thanks to the wonderful people at Jungle Canopy for delivering the first 250 bivvy bags to one of the small camps near Calais!